Despite the criticism in the mainstream press regarding the use and abuse of digital and social media, its use has been increasingly encouraged and supported in schools and universities. This chapter examines the social media behaviour of techy-savvy undergraduate students at NHTV, University of Applied Sciences, Breda, The Netherlands, from the perspective of an independent documentary producer and educator, to determine whether any correlation between the amount of time spent online and the use of cognitive functions exists. Media producers require an audience capable of critical thought, and teachers educate future audiences to acquire the necessary cognitive skills. Hence, the chapter analyses how the viewer's cognitive functions impaired by the use of social and digital media affects the reception of media products. This further leads to a more critical concern about the educators' response to the challenges provided by social and digital media. 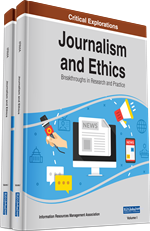 This paper is relevant to media producers who continue to work in their profession and who have an interest in teaching. Familiarity with Marshall Mcluhan’s (1995) media theory and Briggs & Burke’s (2009) history of media is recommended. Macluhan argues that the “medium is the message”. It is the media system itself which transforms society. Evidence suggests that the use and abuse of social media also has a detrimental impact on the development of cognitive skills among digital natives and immigrants alike. (Spitzer, 2012) At the same time digital natives are challenged to acquire new skills to navigate social and digital media; skills needed to become literate in the use of a new media technology, which in itself is influencing user behavior and the way content is produced. Data suggests that not only behavior is affected; the brain itself also undergoes significant changes.